Visit the Grand Canyon . . . check. Attend the birth of my child . . . check (six times). Get invited to The Masters . . . check! An exciting item was checked off my bucket list last year when I was able to spend a day at Augusta National Golf Club with my uncle and two cousins. Strolling down Magnolia Lane, walking on the perfectly manicured fairways, and watching guys like Tiger Woods and Phil Mickelson in person was everything I hoped it would be, and more. 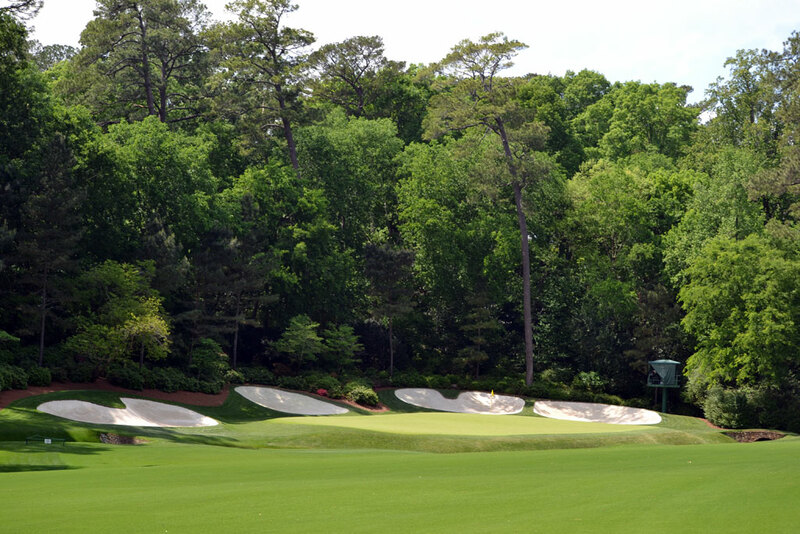 For golfers, Augusta National is the Holy Grail. Every April Jim Nantz reaches out to us from Butler Cabin with his coined "Hello friends" greeting before the course pours into our living rooms with visions of blooming azaleas, towering pines, and sparkling white bunkers canvassed over the most well conditioned turf in the world. If you are like me, 32 ounces of glass cleaner and a microfiber rag are kept near the TV so that I can regularly clean the drool off my screen (thank you CBS HD). For the vast majority of the past 40 years, tickets to The Masters were not made available to the general public. However, in 2012 the clouds parted and a sliver of light broke through the heavens to offer a glimmer of hope to every golfer that has ever fantasized about attending The Masters in person. Last year Augusta National announced that a small undisclosed number of tickets would be made available for purchase to online registrants via a lottery style drawing. Practice round tickets are easier to come by then tournament day tickets, and while those rounds don't determine the eventual champion, there are a couple of serious advantages to attending prior to Thursday. First and foremost, you are allowed to bring a non-cell-phone camera inside the gates and snap as many memories as your SD card allows. Secondly, you'll have first dibs at the fully stocked souvenir shops before inventory runs thin by the weekend. Next, the casual nature of the practice rounds allows you to see players in a more jovial mood which means witnessing unique shots like the traditional skip-off-the-pond tee shot on the 16th hole. Finally, the best chance of witnessing a hole in one will be during the par three competition on Wednesday afternoon where two such aces occurred in 2012. The par three competition also gives you the opportunity to get souvenirs signed as well as see players like Jack Nicklaus and Arnold Palmer who no longer play in the formal tournament. 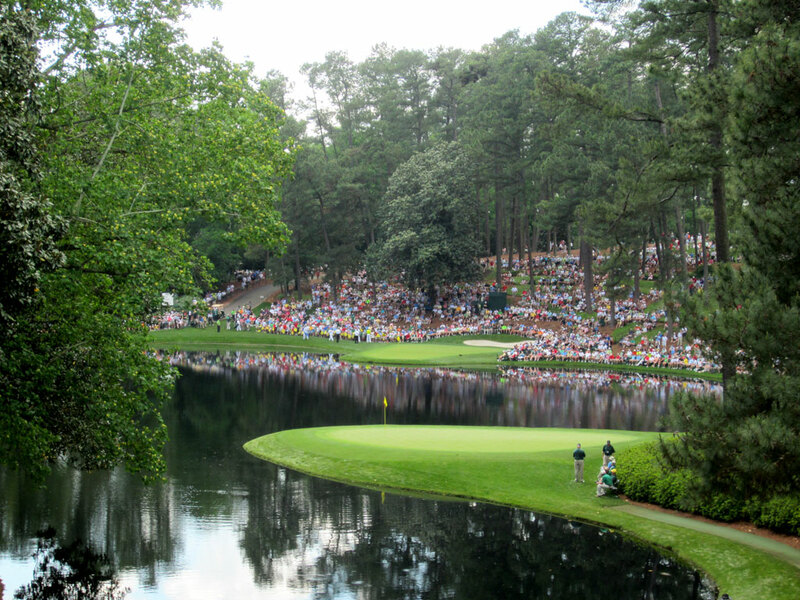 While getting an invite to actually play at Augusta National is about as likely as your chances of dating a supermodel, you have better odds of attending the event and living vicariously through the players fortunate enough to be invited to golf's most prestigious event. 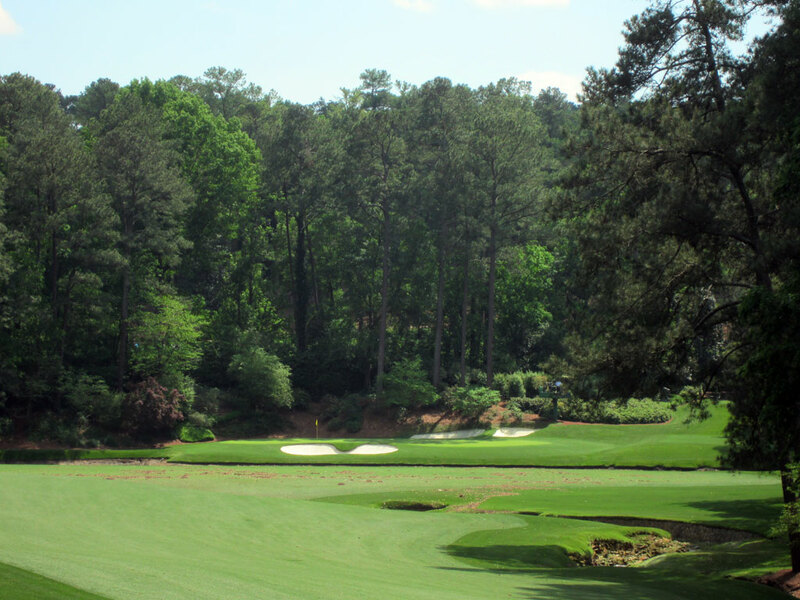 Whether playing or watching, the stretch of holes that everyone looks forward to is Amen Corner which consists of the treacherous approach shot on the lengthy par four 11th hole, the swirling winds tee shot on short par three 12th hole, and the reachable dogleg left par five 13th hole. How well, or poorly, these holes are played on Sunday afternoon is often the largest determining factor in who will be putting on the iconic green jacket as sunset approaches.